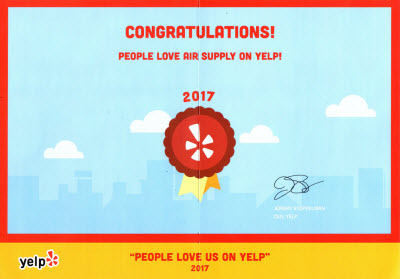 Throughout the Las Vegas, Nevada Valley Air Supply Heating and Air Conditioning has been supplying the local commercial businesses and residential homes with our full HVAC system services. 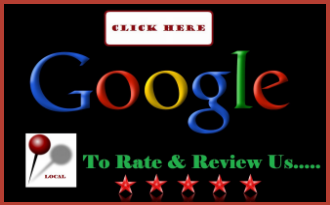 We are fully certified, licensed, and insured to deliver fast, efficient, affordable, and professional workmanship. Air Supply Heating and Air Conditioning technicians are qualified experts having excessive training, experiences and skills that are complimented with the use of top graded products, equipment and tools available only to licensed professionals to ensure our valuable customers receive nothing less than maximum efforts. With Air Supply Heating and Air Conditioning you can expect consistent attributes such as high moral standards, exceptional work ethics, friendly customer service, and superior workmanship to separate us from the competition. What is an Air Handler & How Does it Work? 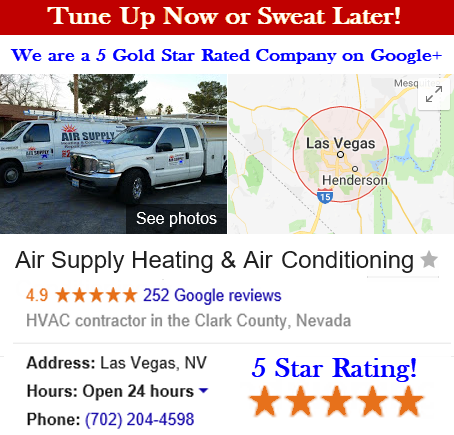 Air Supply Heating and Air Conditioning	of Las Vegas, NV includes air handler services to the commercial businesses and residential homes locally and in surrounding areas. Air handlers AKA air handling units are one of the key components in a HVAC system. Generally, the air handler is a notable large metal box. Within the metal box a blower, filter racks or chambers heating and/or cooling elements, dampers, and sound attenuators are engineered. The air handlers connect to the duct work, which distributes the treated air throughout the building and returns it to the air handler. In some instances, the air handlers discharge and admit the air directly to and from the space served without the necessity of the duct work. 	Blower/Fan – The blower can potentially operate a single speed, a variety of pre-set speeds, or be driven by a variable drive so to allow a wide range of air flow rates. The blower is generally located in a seemingly large squirrel-like cage driven by an electric motor to move the air. 	Controls – Control are a necessary element as they regulate the air handler aspects such as; air flow rate, air temperature supply, mixed air temperature, humidity, and air quality. Additionally, the control components include; temperature sensors, humidity sensors, sail switches, actuators, motors, and controllers. 	Filters – Filters are imports and included in the air handler. They need to be regularly cleaned. 	Heating and/or cooling elements – Some air handlers are capable of providing both cooling and heating, or one or the other. No matter what yours is engineered for, the elements will obviously be included. 	Humidifier – If the air quality is seemingly dry and static electricity is increased, many air handlers are equipped with a humidifier. 	Mixing Chamber – Mixing chambers are ideal to maintain the indoor air quality. With the mixing chamber, dampers are used to control the ratio between the return, outside, and exhaust air. 	Vibration Isolators – Blowers in an air handler create seismic vibrations, which are normally inserted into the duct immediately before and after the air handler and often also between the fan compartment and the rest of the air handler. In most cases, the air handler id typically located in garages, closets, or in unused attic spaces unless it is part of the HVAC unit package. If that is the case, the air handler is incorporated into the system itself. The air handler can be an up flow air handler, down flow air handler, or a horizontal flow air handler unit. 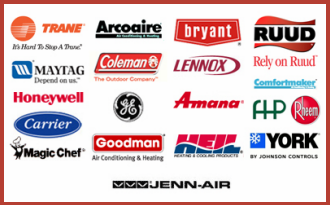 No matter which air handler unit you have, Air Supply Heating and Air Conditioning has the expertise to provide installation, maintenance, repair, or replacement services for you.